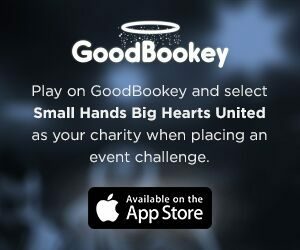 Click below to make a secure donation to Small Hands Big Hearts United. Donations are tax deductible, and fully support the mission of SHBHU. The reasons for making a gift to SHBHU are personal and varied. Perhaps you are grateful for your child’s experience and want to give something back. Perhaps you are touched by our mission, and want to ensure that more boys and girls have an opportunity to show compassion and caring to others. Perhaps you feel passionate about supporting an important cause, such as feeding the hopeless, clothing the less fortunate, or supporting victims of tragedy. Or you may wish to take advantage of the tax benefits of making a gift. Whatever your motivation, you’ll find that 100% of your donation goes towards nurturing children’s natural instinct to be compassionate to others and the World around them. 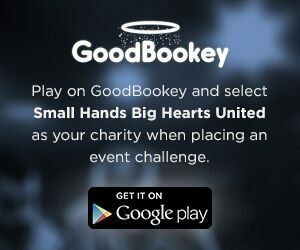 Throughout our young history, we have relied on the generosity of members, friends, corporations and foundations that endorse Small Hands Big Hearts United’s mission. This support has played a vital role in the profound impact SHBHU has had on over 300 children that have responded to the call to serve. SHBHU has held over 100 compassion missions, which have changed the lives of people in 5 countries worldwide. Now, more than ever, philanthropic funding is essential to sustain this growth.